NEW!! Quick hitch for sub-compact tractors. 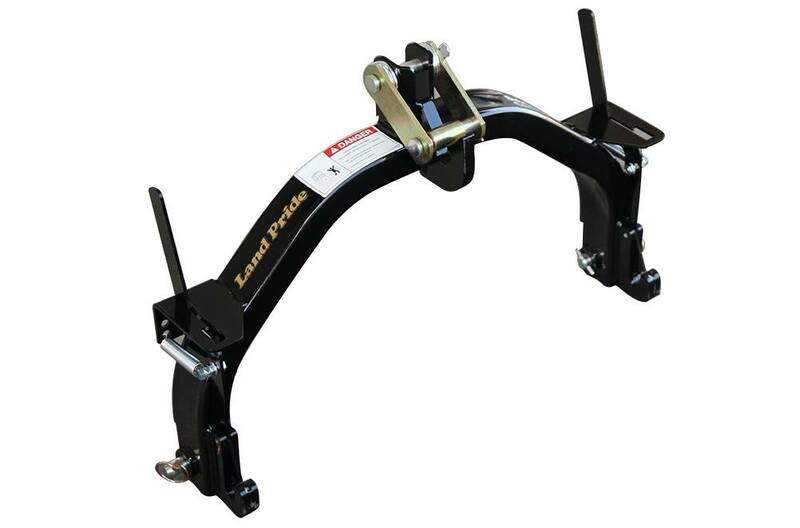 Land Pride's QH05 Quick Hitch is specifically engineered for sub-compact tractors. Owners of sub-compact tractors will find that the Land Pride QH05 speeds implement changes, allowing more time to get chores completed - most without ever leaving the tractor seat. Automatic locks on the lower 3-point arms make hook-up a breeze. Spring-loaded levers make unlocking the lower pin equally as easy and can be done from the tractor seat most of the time. The optional floating top link is required for Land Pride implements with a swiveling top hitch to keep it from binding when going through ditches or other undulations. Maximum lift Capacity: 700 lbs (317.5 kg) At 24" (61.0 cm) back from implement’s lower 3-point hitch pins. Implement hitch must match hitch category listed above.